Home for Domaine Chandon de Briailles is a beautiful house, set in equally beautiful gardens close to the centre of Savigny-lès-Beaune village. The house and its gardens were built between 1690 and 1705, and have long been admired; they are not just in the style of Versailles, they were actually designed by the same architect and ‘landscape architect' who were responsible for the ‘Château de Versailles'. 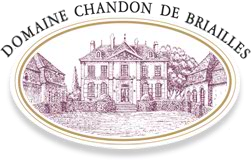 The current owners are the Count and Countess Aymard-Claude de Nicolay who inherited the domaine from their grandmother, the Countess Chandon de Briailles who, with her husband Pierre Guillemot purchased the house in 1834. The family of the Countess Chandon de Briailles is the same as connected to the Champagne house of Moët et Chandon. It is now two of their four children of the current owners - François de Nicolay and his sister Claude - who are responsible for the running of the domaine.